EU leaders have welcomed the outcome of Austria’s presidential election as a brake on the advance of anti-establishment forces in Europe – despite events in Italy which saw the fall of Prime Minister Matteo Renzi following his referendum defeat. 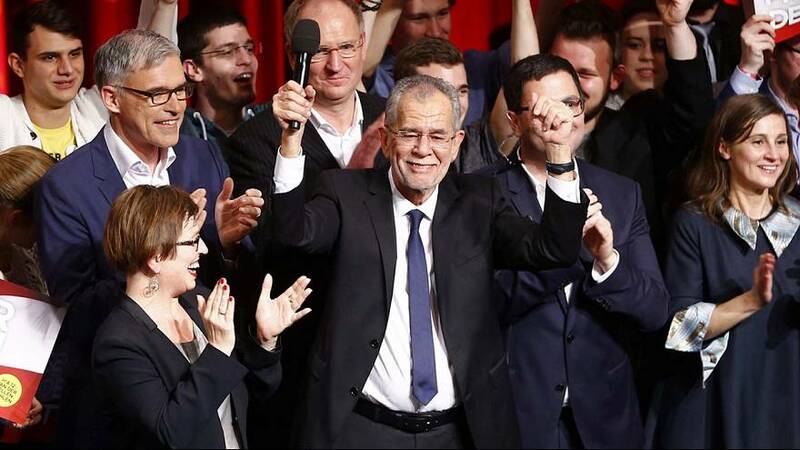 The winner in Austria, Alexander Van der Bellen, has pledged to become a “pro-EU” leader. The environmentalist described his victory as a “signal of hope” for other European Union countries. His defeated far-right candidate Norbert Hofer had campaigned on a strong anti-immigration platform amid an influx of refugees. But in Austria itself – where the final margin of victory is expected to be six or seven points – opinions are divided. “My opinion is that this was a warning for Europe. In spite of Van der Bellen’s victory you could see, if you watched TV yesterday, that the majority of the people in this country are not satisfied and perhaps also in Europe, and the politicians should take the initiative to do something about it together and not work against each other,” said Josef Ischeb, a Vienna resident. “I find it very good that reason won over the populist idea but it will not stop, this is a story that will go on. There will be new elections and the cards will be dealt again. So I don’t see this as such a big success because it is only a small glimmer of hope,” said another man who lives in the capital, Thomas Martin. Austria’s election was a re-run of May’s election which was overturned because of irregularities. The president has a largely ceremonial role but the election – a re-run of May’s overturned vote – was seen as an important test of anti-establishment sentiment.